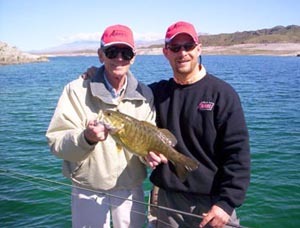 Introduction: AiRRUS has to be one of the most innovative rod companies out on the market today. Their rods have always incorporated unique manufacturing processes along with high-tech materials to create sticks that not only look inimitable but offer distinctive action and performance. To find out more about AiRRUS and their exclusive products we head straight to the top and had a sit down with Ken Whiting, the founder and President of AiRRUS rods. JIP: Hi Ken, tell us about what a day at AiRRUS is like for you? Whiting: I guess a typical day begins about 6:00 am. Orders and questions start rolling in from the East coast due to the time difference. JIP: So where did the name AiRRUS actually come from? Whiting: Airrus was born out of necessity. When Shakespeare decided to flex muscles and requested that I change the company name Airrus was the result. It has no particular meaning other than it sounded good and move us from the back of alphabetical listings to the front. JIP: Who do you view as your primary competitors? JIP: Please complete the sentence. AiRRUS is different than any other rod company because�? Whiting: There was a �One liner� in one of our ads that I feel says it all. �At Airrus there are only two things that are important, the rods we make and the customers we serve�. Those customers who have used are rods can vouch for that, our tournament history supports it, and our ICAST wins cinch it. On the customer side we offer, what I firmly believe, is the finest rod warranty in the tackle industry. Another point of differentiation is the fact that we do not use a secure web site for rod orders. I did this intentionally, to create customer contact at the point of purchase. Because of the lack of familiarity of most customers with our rods, this contact allows me the opportunity to make sure the customer is getting what he or she wants and this contact affords a warm personal touch to the purchase. JIP: It�s obvious your rods are quite unlike anything else out there, can you walk us through the design phase of how you come up with a new rod? Whiting: To me a new rod must have a purpose of design. For example the implementation of new or upgraded components, i.e., guides, reel seat, hookeeper and or materials or a combination of all of the above. A new design must be aesthetically pleasing and functional from the standing point of the fisherman and economically feasible to manufacture. 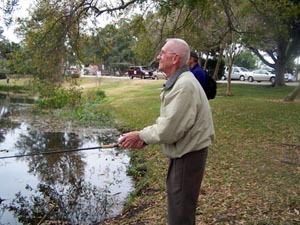 If a rod is not better than its predecessor or does not offer something new and innovative then why make it. JIP: What is more important, innovative design or implementation of new materials in new rods? Whiting: The two go hand in hand and compliment one another. A unique and innovative design creates a rod's individuality and recognition as was the case with the N-SYNC. A unique design also establishes a showcase for a new material or a combination of materials and components, again i.e. the N-SYNC. The real trick is to do all of this, and still create an innovative product that is practical and not labor intensive that you can�t afford to make it. JIP: You have won �Best of Show� in the rod category 3 years in a row at ICAST (2002-2004) and two Editors Choice Awards from TackleTour, what do you think puts your products over the top when it comes to recognition from the media and consumers? Whiting: I think it is because I have tried, an apparently have been successful to some degree, to design rods that have features that you won�t find on other rods and that these features are beneficial to the fishermen. I think I have created designs around these features that are aesthetically pleasing and that the concepts involved in the designs are relatively easy to comprehend and do not require a degree in Rocket Science to understand. In a demonstration the rods really do sell themselves because the consumer or writer can see and feel the story in the rod. 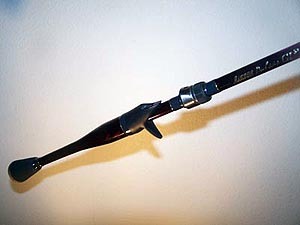 JIP: We have always felt that some of your unique rods would also make exceptional saltwater rods (for example a modified Spectra) do you have any plans to release saltwater specific offerings? Whiting: Many of the rods in our product mix are saltwater friendly, particularly inshore. 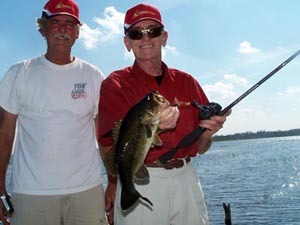 Rods in the 7�,7�6� and 8� models have been very successful for Reds, Snook and trout, etc. Spinning models especially. No plans at present for any models 8�6� and over. JIP: So anything you can tell us about what�s upcoming at ICAST? Whiting: ICAST this year will see AIRRUS introduce a rod called the PULSAR GL which is based on 2nd generation NANO tech. The rod incorporates a high modulus graphite and the newest of glass fibers called S2, which has a higher tensile than �E� or std. �S�, is a little stiffer and slightly lighter in weight. Bond these fibers with our latest NANO resin system, add our new open hook double footed hookeeper, an AIRRUS split reel seat assembly and guides at �Concept� spacing featuring TiCH inserts and frames and you have what we truly believe to be our best offering ever. JIP: In closing is there anything else you would like to convey to TackleTour readers? Whiting: Only to thank them for their support and the interest they have shown towards AIRRUS over the years. When I have asked for their help they have been there. I trust they know that I do read what they have to say and that much of what has been offered up has been implemented no matter how subtle it might be. I hope we will always be able to live up to your expectations. Thanks again for your support. 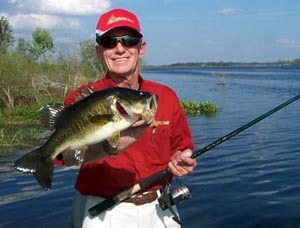 AiRRUS rods looks to have another great show at ICAST, just a day away now. The rod company had an unprecedented 3 wins in the rod category just one year back and we look forward to seeing just how the Pulsar is received in Las Vegas. Thanks again to Ken for taking the time to sit down with our editors and for allowing us to pick his brain and see just what AiRRUS is all about.